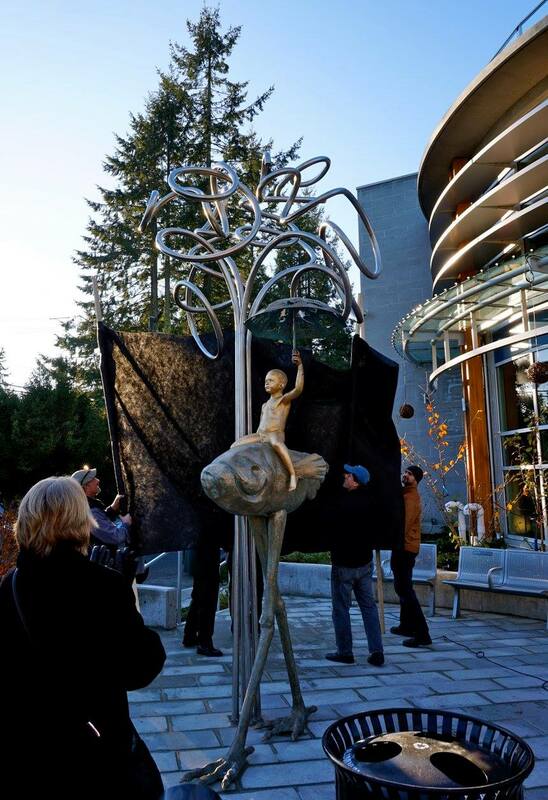 On Saturday November 28th we were on hand for the unveiling of "The Life Protector", the new art installation at the Edgemont Commons building. Generously donated by Kevington Building in partnership with the North Vancouver District Developer Public Art Program / North Vancouver Recreation & Culture, this one of a kind piece is the creation of Spanish artist Casto Solano. Mr. Solano’s work was one of thirty competing submissions from around the globe and was chosen by a selection committee assembled by the District of North Vancouver. Mr. Solano has works all over the globe including an incredible public art piece outside the Guggenheim Museum in Bilbao Spain. A full summary and gallery of photos can be viewed here.